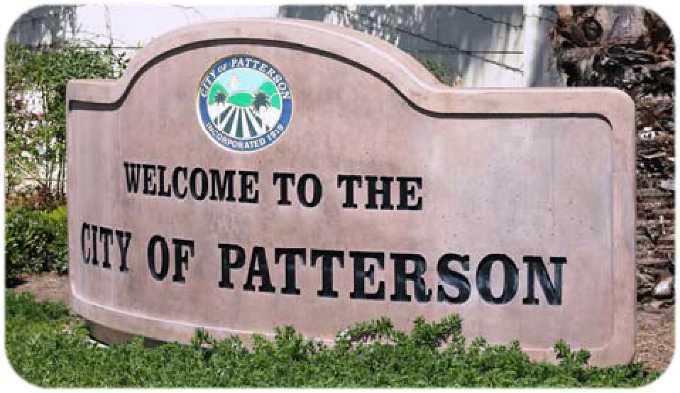 The City of Patterson, CA extends its warmest welcome to those visiting our community! With a population of 20,875, Patterson is a rural small town surrounded by agricultural land and the Pacific Coast Range (Diablo Range) to the west. Agriculture is its primary economic base. Orchards of apricots, almonds and walnuts play an important role in Patterson’s economy. Known as the “Apricot Capitol of the World,” Patterson, California is a rural town that yields about 95,000 tons of the fruit each year. Patterson apricots are well known because of their high yield and delicate flavor. The Patterson area boasts numerous outdoor activities, such as hunting, fishing, golf, and hiking in the Diablo Range. Patterson maintains its small-town atmosphere while providing services found in larger cities. It's a great place to visit! Friday the 19th. 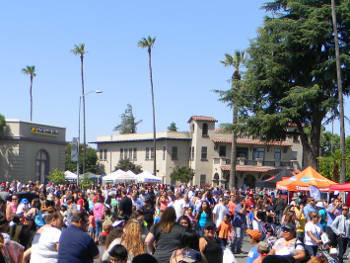 Patterson Tourism Center - 1 Plaza, Patterson, CA 95363 - (209) 895-8000.